Insoo Cho has worked as the director of operations at the Foreign Language & Confucius Institute at Yonsei University since 2016. SEOUL, REPUBLIC OF KOREA, August 27, 2018 — Insoo Cho has been included in Marquis Who's Who. As in all Marquis Who's Who biographical volumes, individuals profiled are selected on the basis of current reference value. Factors such as position, noteworthy accomplishments, visibility, and prominence in a field are all taken into account during the selection process. With more than 30 years of experience to his credit, Mr. Cho has worked as the director of operations at the Foreign Language & Confucius Institute at Yonsei University since 2016. Prior to this appointment, he held multiple positions at Yonsei University, such as executive director of operations for the Global Learning Institute from 2015 to 2016, director of international affairs, programs and services from 2013 to 2015, performance evaluation committee member for the SK Global House from 2009 to 2014, director of administration and strategic planning for the Graduate School of International Studies from 2009 to 2013, and associate director of operations for the Foreign Language Institute from 2006 to 2009. 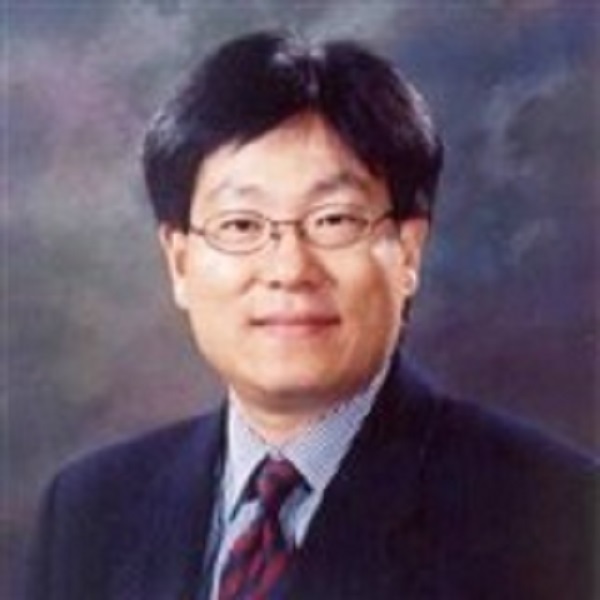 Previously, Mr. Cho served Yonsei University as the associate director for the Division of International Education and Exchange from 2005 to 2006, director of administration for the Graduate School of International Studies from 1999 to 2005, manager for the Office of General and Academic Affairs from 1998 to 1999, program coordinator and international student advisor between 1992 and 1997, and business manager for the Foreign Language Institute and Korean Language Institute from 1987 to 1992. Mr. Cho began his career as an officer with the United States Army from 1984 to 1986. Additionally, he excelled as an independent intercultural trainer and consultant from 1999 to 2000, applying his knowledge for such companies as 3M, Coca-Cola, Heineken, Northrop Grumman, HP/Samsung, and many others. Furthermore, Mr. Cho worked as a teaching assistant at Summer Institute for Intercultural Communication for a number of top educators, including Professor Michael Paige, Dr. George Renwick, Professor Leeva Chung, and Professor Stella Ting-Toomey to name a few. Before embarking on his professional path, Mr. Cho pursued an education at Soongsil University, earning a Bachelor of Arts in English Language and Literature in 1987. He continued his academic efforts with a Master of Business Administration in 1990 at Yonsei University. Following these accomplishments, he completed the International Education Administrators Program in international and comparative education for the Fulbright Program in 1995, in addition to a number of certificate courses in intercultural communication, training and education. Mr. Cho concluded his studies at the School for International Training in 2004, graduating with a Master of Arts in international and intercultural management. Beyond his responsibilities within the field, Mr. Cho has participated in numerous endeavors outside of his professional circles. He has contributed to the AFS Intercultural Programs in Korea as a strategic advisor since 2018, the Silk Road Foundation for Education and Development as a board member since 2014, and QS Quacquarelli Symonds as a founder and international academic advisory committee member since 2004. Since 2014, he has been a trainer, consultant, and coach for such companies as Dwellworks, BGRS, ICUnet and Cartus. He formerly held the roles of conference proposal evaluator for NAFSA: Association of International Educators from 2005 to 2007, advisory committee member for “Study Korea Project” with the Ministry of Education of the Republic of Korea from 2004 to 2006, and both president and chief executive officer for the Korean Association of International Educators from 2002 to 2006. Mr. Cho found success with his written works as well, having authored “Internationalization of the Campus: The Case of Two Major Korean Private Universities” in 2010 as well as myriad presentations for conferences in his industry. In addition to his primary vocation, Mr. Cho remains affiliated with various organizations in relation to his areas of expertise. He has maintained involvement as an officer for the Graduate Student Association of the School for International Training. He was also active as president of the English Drama Group at Soongsil University. Likewise, Mr. Cho was a member of the Society for Intercultural Education, Training and Research and NAFSA: Association of International Educators. In light of his exceptional undertakings, Mr. Cho has accrued several accolades throughout his impressive career. A Fulbright Korea Grantee for International Education Administrators in 1995, he was further recognized as a Intercultural Communication and Training Fellow by the Intercultural Communication Institute in 1998, 2002 and 2017. He was presented with multiple honors from the United States Army, including an Army Commendation Medal for Meritorious Service in conjunction with the United States Department of Defense in 1986, a Certificate of Achievement in 1985, a Letter of Commendation in 1984, and Letters of Appreciation from 1984 to 1985. Mr. Cho has also received Plaques of Appreciation from the Korean Association of International Educators in 2007 and 2008 as well as from QS Asia in 2008. Mr. Cho has also garnered awards from the Vice Prime Minister of the Ministry of Education and Human Resources in the Republic of Korea, such as the Outstanding Contribution Award in 2015 and a Letter of Appreciation in 2004. Recently, he obtained Letters of Appreciation from the U.S. Ambassador to Korea in 2013 and the Chief of the Seodaemun Police Station in 2014. He has further accepted a Letter of Appreciation from the Dean of Global Learning Institute at Yonsei University in 2006, an Outstanding Performance Award from the President of Yonsei University in 2007, and a Best Performance Award from the President of Yonsei University in 2011. Moreover, the Seoul Peace Prize Foundation bestowed Mr. Cho with a Scholarship Award in 1996.